Happy New Year friends! New to SYG or just need a refresher? 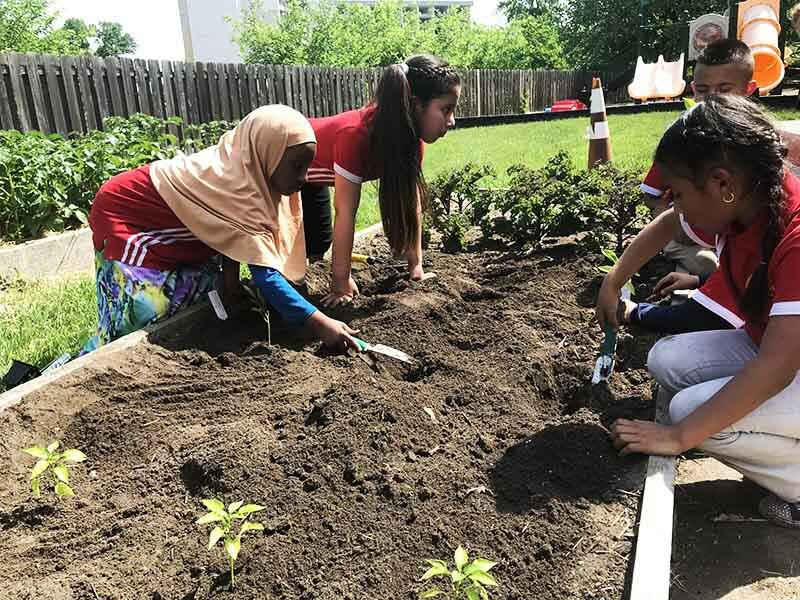 Here is what to expect during a year of schoolyard gardening. 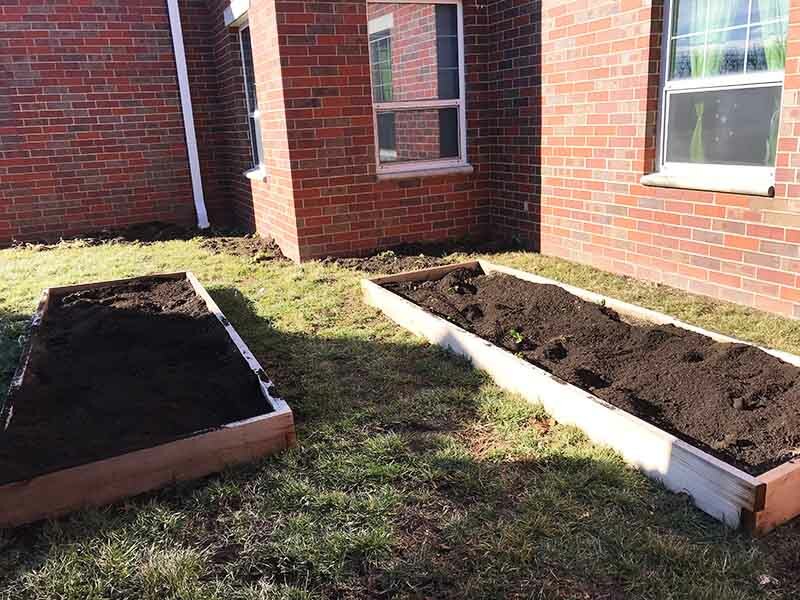 In January, most garden beds are resting, waiting for warmer weather to soften up the soil for spring planting. 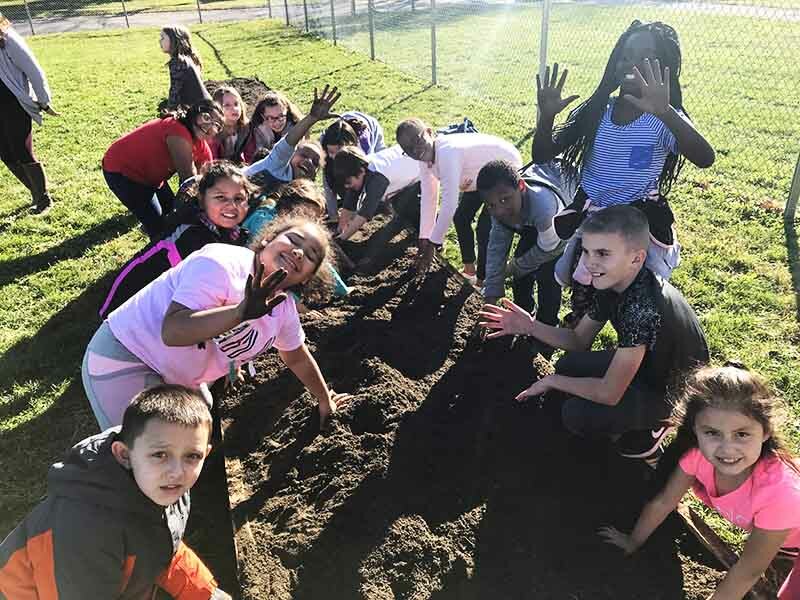 This month, schoolyard gardeners can be planning and dreaming about the upcoming growing season. What would you like to plant this spring? 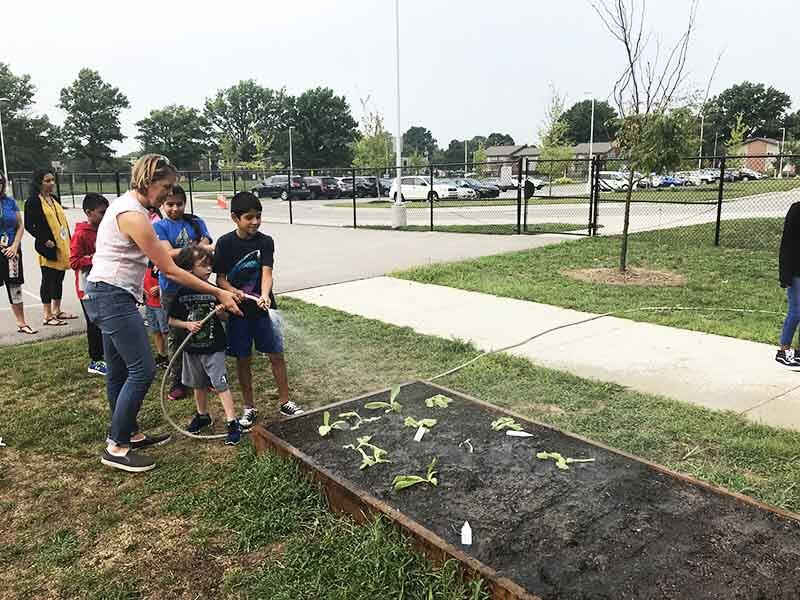 Try one of our garden activities HERE. February is the month to be on the lookout for the spring order form. 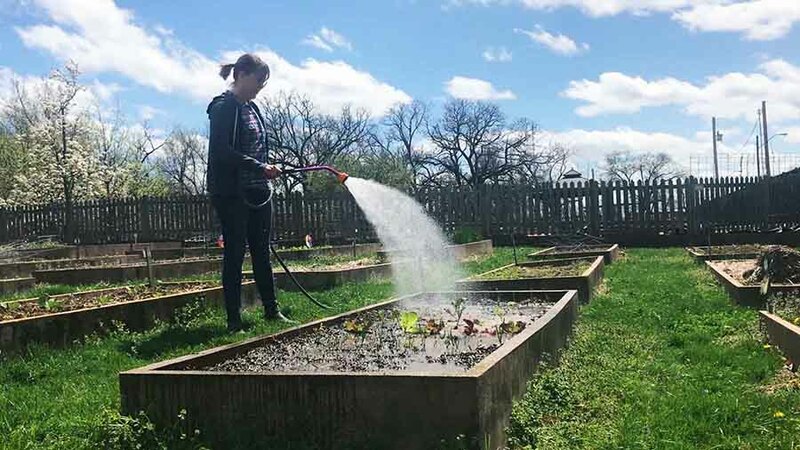 Select what veggies you want to grow and schedule a planting date/plant pick-up with your schoolyard gardens staff member. This is also the time to order fruit trees and berry bushes from KCCG (if you intend to plant some). In early March, remove any landscaping covers from your garden beds and/or pull up any remaining plant debris from beds. Loosen the soil with hand trowels and cultivators to prepare the soil for planting. 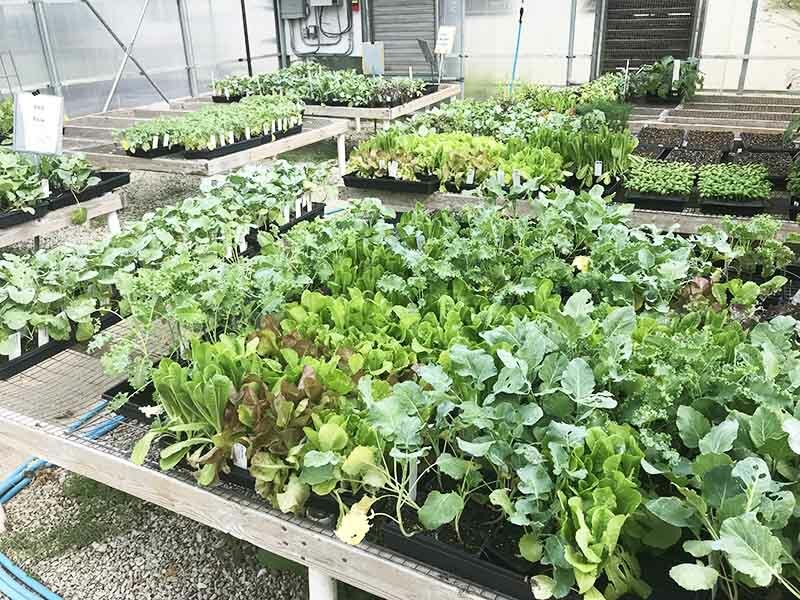 Weather permitting, plant cool season vegetables (March 15- March 31). During April, water and weed the garden weekly. Thin young seedlings so they have adequate room to grow. Replant anything that did not germinate. Begin harvesting quick growing crops around the 4th week of growing. Decide whether or not you will grow a summer garden. 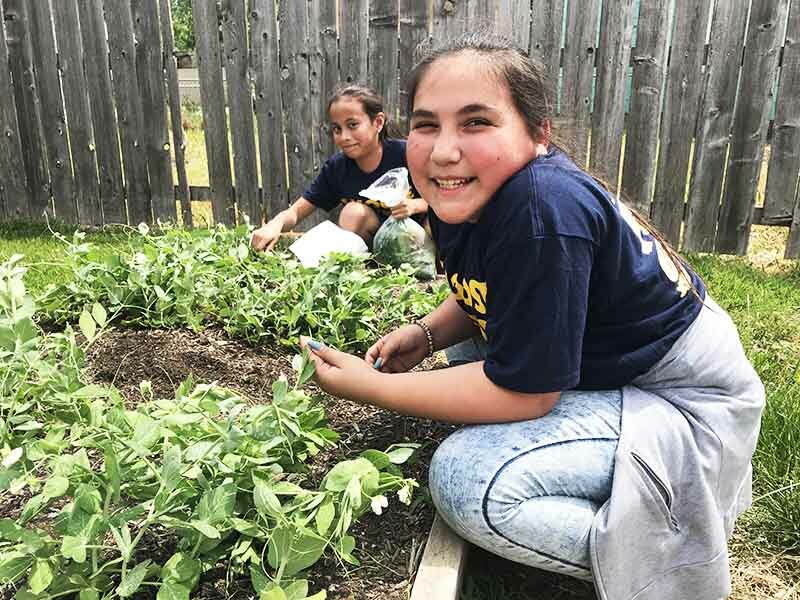 Start engaging families for summer garden involvement, as needed. May is an exciting month in the garden. 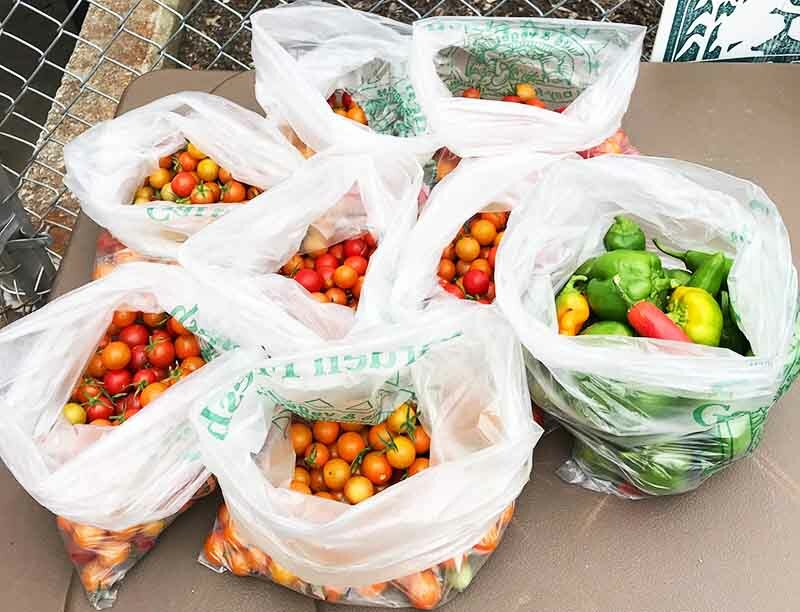 In May, fill out your summer order form and plant tomatoes, peppers, beans, sweet potatoes and other summer crops. Close down your spring garden and cover the beds if not planting a summer garden. 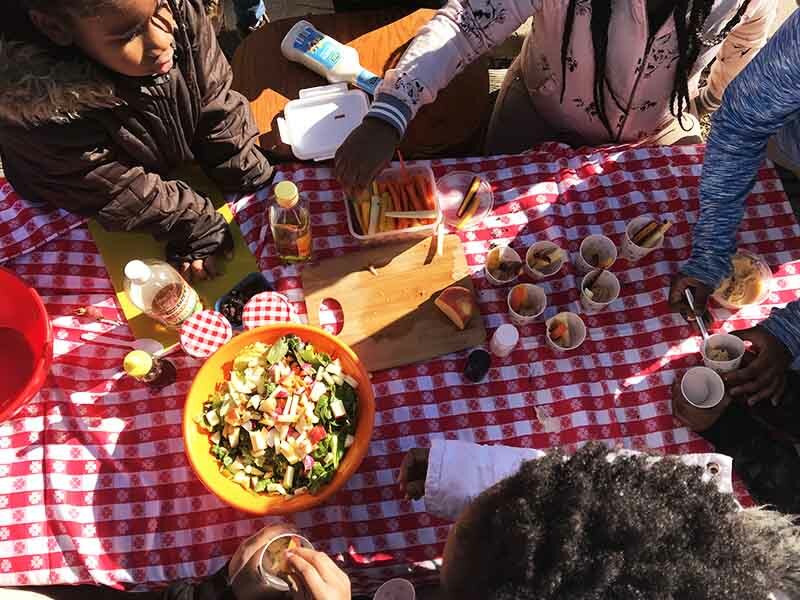 Host an end of the year harvest party with your spring vegetables. Fill out the SYG Post Garden Surveys and pay your spring/summer invoice. If your summer garden is planted, in June and July, water and weed weekly. Mulch the garden with straw (this helps lessen the need for water and keeps weeds away). Harvest summer crops as they mature. 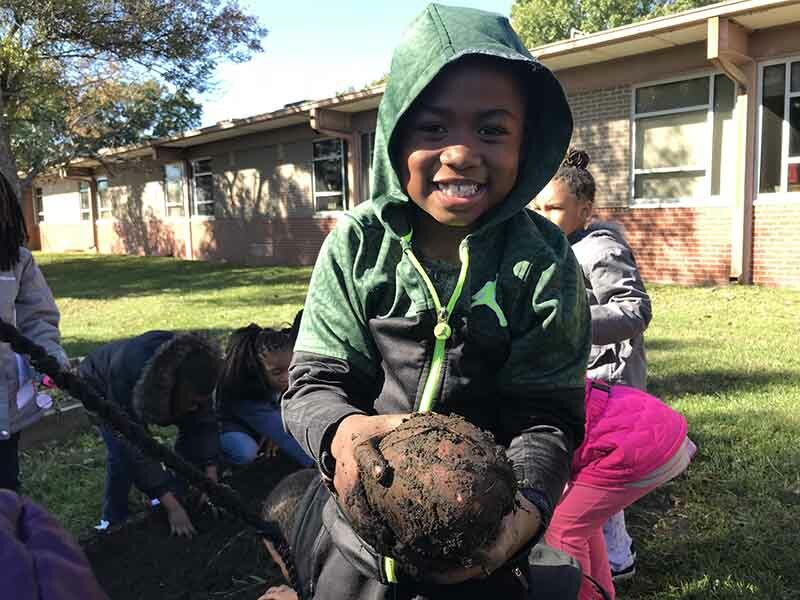 August is back to school month and back to gardening! 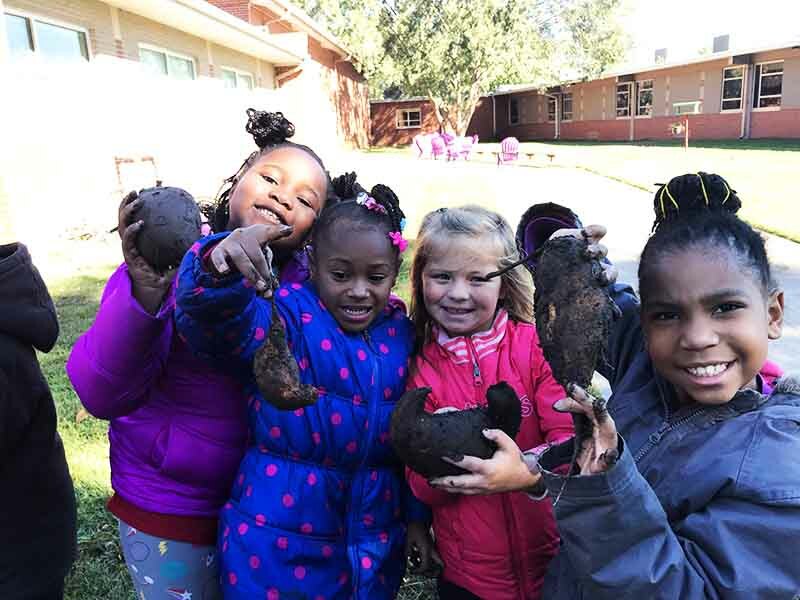 Now is the time to fill out your Schoolyard Garden Enrollment Form and your Fall Garden Order Form. Schedule a time to pick up your plants and start planting your favorite fall crops (August 1- August 31). In September, water and weed the garden weekly. Reseed anything that did not germinate. Start harvesting fast growing cool season crops. Continue to harvest any summer crops that are still producing. October is the month to be on the lookout for the first frost of the season. Before the frost, harvest any remaining summer crops and dig up your sweet potatoes. Continue harvesting cool season crops. During November, harvest the rest of your cool season crops. 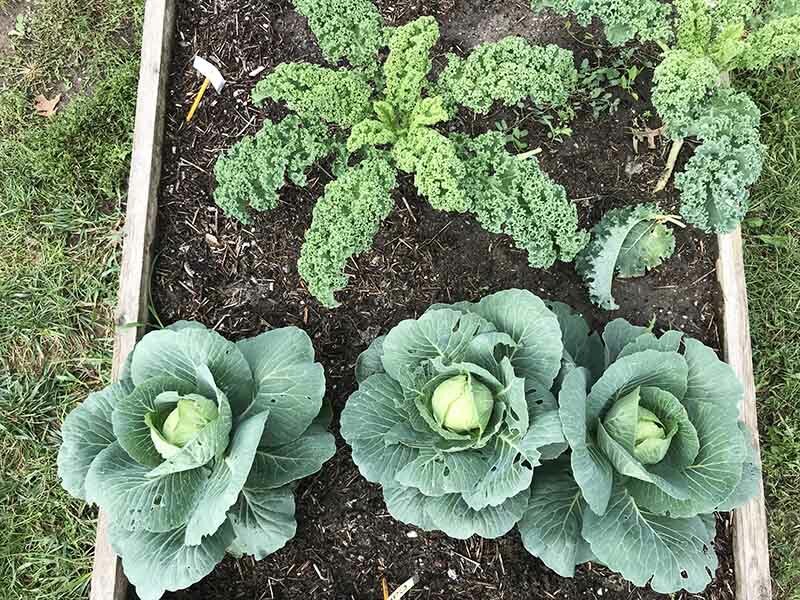 Consider adding leaves, compost, or other organic matter to your garden beds. Turn soil in garden spaces that are clear. As the year winds down in December, so does the garden. Plant any garlic you want to grow (Dec 1- Dec 21 before ground freezes) and cover with straw. Finish cleaning out the garden by pulling out plants and weeds. Turn the remaining soil. Celebrate the end of the growing season and reflect on your garden’s bounty. 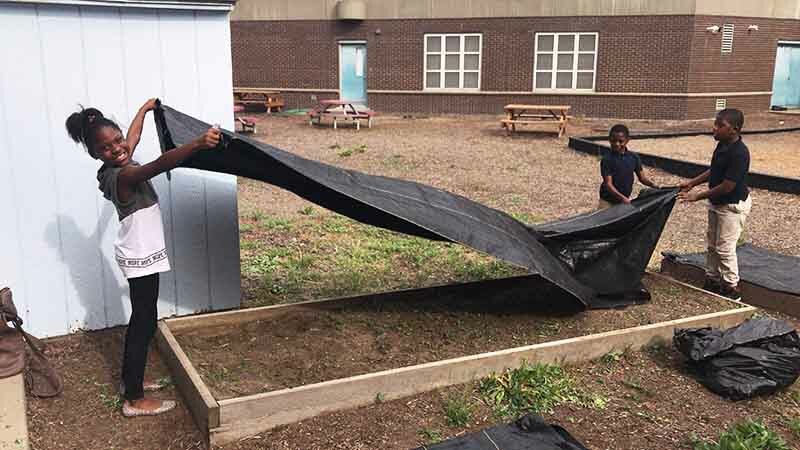 Next StoryWe’re Building New Schoolyard Gardens!